Does listening to music at the gym make you stronger? New study has the answer! – Is it healthful? Does listening to music at the gym make you stronger? New study has the answer! Just the other day, I wrote a succinct article about a research paper that found listening to fast music to enhance running performance. Since then, I have been asked multiple times what effect does music have on strength performance? I informed my radical readers that to date there is no such scientific data on the matter, but I reckon listening to music would help (Aussie English, sorry). Well, like clockwork, a research paper has just been released on the matter. So, ladies and gentlemen, I ask science this: will listening to music make you more massive, muscular and meaty? The study got a group of 31 youngsters (average age: 25) to perform two resistance training sessions. In the second session the groups were randomly split into two – one group listened to self-selected music while lifting, the other didn’t. Listening to music caused a significant increase in strength endurance – number of reps performed at a certain weight – but did not change the maximum amount an individual could lift once (1RM). All in all this indicates that self selected music will likely enhance your motivation to pump out a few more reps each set. 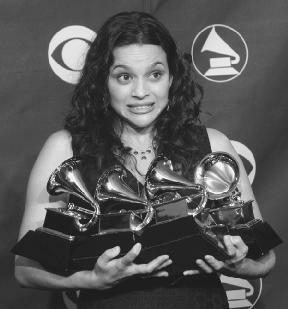 Unless of course you self-select Norah Jones, or some other notoriously slow, boring musician. Sorry Norah, I don’t why I didn’t call. Look it isn’t the be all, end all. But for most people, listening to music while lifting weights will improve weightlifting performance. I hope this has been healthful. 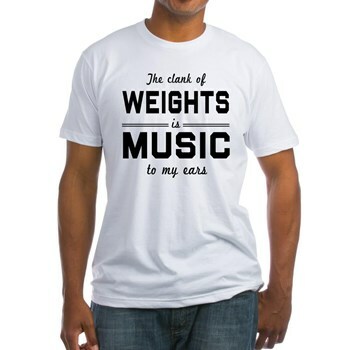 Do you find you lift more when you listen to music. Absolutely! I find that listening to the right tunes enhances my performance in the gym. I think my go to tracks come from Rage Against the Machine. The right old school hip hop is also an ipod staple. Tempo stays consistent and those last few reps just seem to be easier when “Testify” is in my head! Yep, I can testify that Rage will make you lift more. Thanks for the comment. Seriously, thank you for taking the time to find research on music and resistive exercising. Hahaha absolutely brilliant! That’s a pleasure, Jonathan. Have a great day. Totally agree! Listening to music is a great way to have a successful workout at the gym! If it doesn’t give you the motivation to grind out a few extra reps at least it provides a nice fun atmosphere you create for yourself almost like a energy vibe! ← DOMS for dummies: the top five scientific muscle soreness cures!